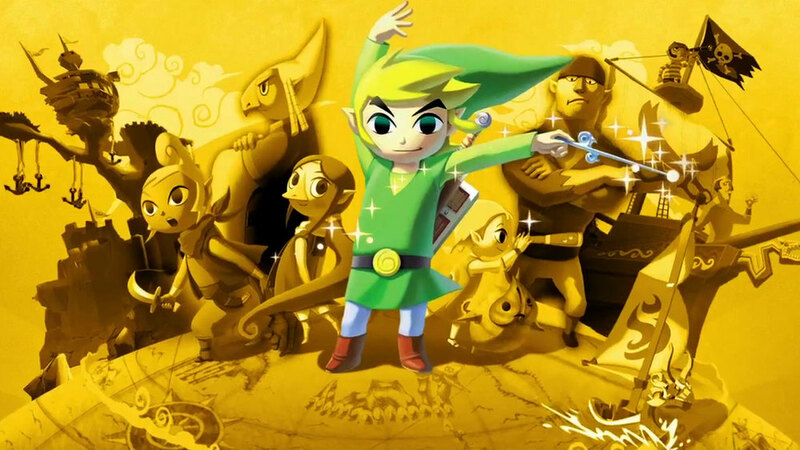 The Legend of Zelda Wind Waker HD! "I Must Go Wherever the Wind Blows"
Let me say first off if you are not a Zelda fan then please for the love of God go play one bc chances are you never have. This game is amazing! The cell shading art style gives it an ageless feeling and I do not get tired of looking at it! The controls are tight and smooth. The integration of the Wii U Gamepad gives the player the ability to change items and equipment on the fly which makes for a more seem less game. The story is about the same as any other Zelda game save the princess. Become the Hero; Rinse and Repeat. This is my first time playing Wind Waker, and let me say it did not disappoint. The upgraded Graphics combined with a almost endless ocean allows for hour and hours of new findings and fun that even some who has beaten the game before would enjoy. I will say this is not the game that I believe everyone wanted but if I had to pick one in series this is a pretty good choice. Young Link is a fun character but still feels sort of unneeded until he gets his green tunic, and even at that older Link is by far my favorite. I spent over 60 hours in this game and could not wait to go back and play again day after day. The set of 9 different pieces of equipment / weapons gives you a variety that doesn't say you have to play this way or that, which is great! Navigation of the vast, VAST ocean gave me the feeling of being so small but being able to accomplish so much. The puzzles are not the hardest thing I have ever seen and they aren't always that different from each other but they are fun, and that's what kept me coming back. The fighting is fluid, and scales very well. from fighting bats with a wooden sword to pulling the roof down on a giant skeletal centipede, everything feels good and works really well together. The characters you fight at the beginning, which could take multiple hits; by the end with your sword at full power can be vanquished in just one or two. It does has flaws. For example there is little direction, which is fine for an experienced gamer, the challenge is needed I believe to make the experience more memorable, but for someone new to the console or the series it could cause some frustration and annoyance. But with all the web videos to help can easily be overcome. The final boss fight with the main antagonist is fairly easy. Yes it is a four parter but can be done in just a few minutes on each section, and the little actions that you have to do between sections 3 & 4 is annoying at best. Also the ability to 100% this game is way way out there you have to be dedicated! In the ocean there are little circles of light at appear and you can use your grapple to pick them up; but those things are freaking every where! And you may find a treasure map to help but if you haven't opened that island on your sea chart you don't know where it is. also there are islands everywhere and some of them are almost so small you can roll once and jump to cross them. However as I said previously that is very cool that they have taken the time to create each of these. Over all if you love Zelda or action adventure games then you will love this game almost guaranteed! The quests are fun the game itself is beautiful, the world seems endless and for goodness sake it's The Legend of Zelda! Pick this game up play the guts out of it have fun and get ready for Zelda Wii U coming in 2015!